The Presbyterian Hospital Oncology Infusion Department is dedicated to chemotherapy treatment for cancer patients. Located adjacent to the outpatient oncology service departments within the main hospital, the infusion department design is an understated elegance and relaxed atmosphere which leads to greater success for patient care. 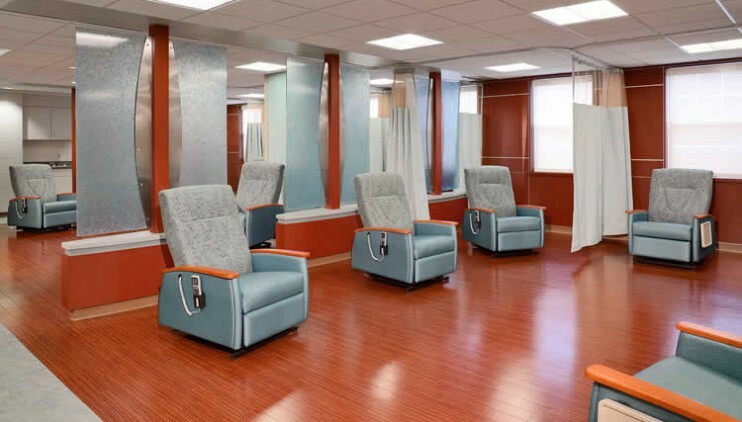 The renovation includes two oncology infusion pods—each with seven chemo chairs and privacy curtains—, four private infusion rooms, one triage/phlebotomy bay, and a dedicated pharmacy suite with chemo hoods. 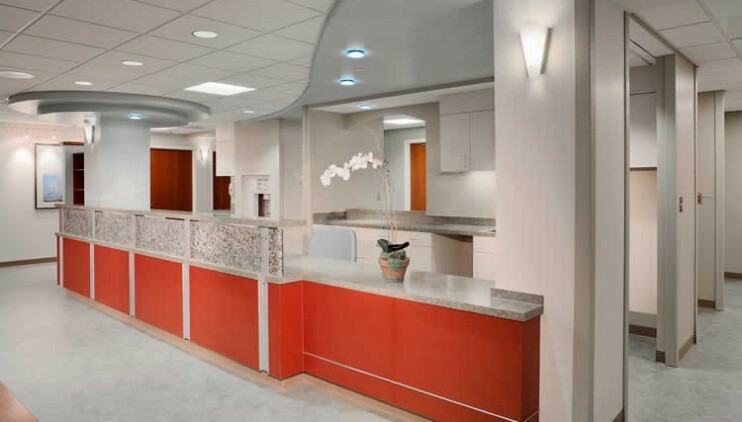 The project also includes a nurse station and support spaces.